Alpha x Omega is set to release the 1/8th scale figure of Niimi Kaoru from the anime Uchuu Senkan Yamato 2199. Figure looks nice and comes with optional parts for additional display customization. 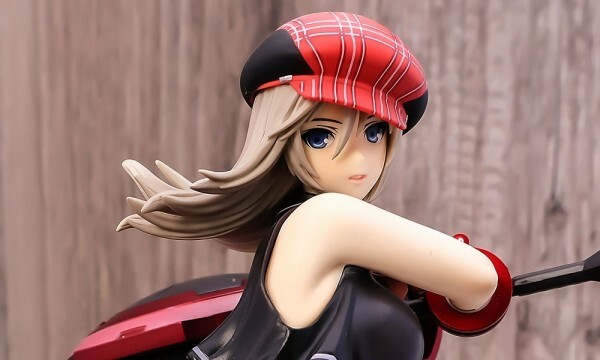 I’m kinda confused since the art and sculpt quality is very similar to the ones released by Megahouse. Is Alpha x Omega a part of Megahouse? Figure slated July 2014, ¥9,800. Science and technology officer on the Yamato, she is also the ship's on board psychiatrist. Because of her belief that mankind should look for another planet to live in instead of saving earth, she plotted a failed mutiny on board the Yamato in ep.16. Space Battleship Yamato 2199 (宇宙戦艦ヤマト2199 Uchū Senkan Yamato Ni-ichi-kyū-kyū) is a 2012 Japanese military sci-fi anime television series that is a remake of the first Space Battleship Yamato TV series created by Yoshinobu Nishizaki with production design and direction by Leiji Matsumoto in 1974, known in the United States as Star Blazers. The series was originally screened back-to-back in theaters across Japan, a few episodes at a time prior to release on home video, and aired on TV from April 7, 2013 to September 29, 2013. A feature film based on the series is planned for release in Fall 2014. As of February 1, 2014 there have been no official plans for an English release.